This 105+/- acre property consists of a mixture of mid-aged aspen, red pine and balsam has a great woods road system in place, and completely surrounds a beautiful 4+ acre bog pond. Located just past the Winter Park Ski/Recreation Area and surrounded by other larger tracts of land, this would make an ideal cabin location. The land is about 50% high and 50% low. Additional adjacent land may be available as well. Well maintained home with old Northwoods accents sits right on Hwy 51. This property offers a superb newly insulated and drywall garage to meet all your needs. The parcel offers easy access on US HWY 51 so there is never a need to worry about road limits. Purchase this as a residential property with fixed rate financing and take advantage of the location offering excellent business potential. This property can conform into whatever your needs are. It offers 1.29 acres of commercial property, with a home that would make great office space and plenty of storage with the 3 car garage. This home has a phenomenal rental history. The home is ready to be rented or lived in until you're ready to use as your business. This fine property is located on the east side of HWY 51 just south of town in Minocqua's most sought after location. Don't pass on this beauty and the opportunities it has to offers. Money in Minocqua! Minocqua Duplex Remodeled in Excellent location, just a block from Trig's. You will have no problem renting this out. Sellers did extensive remodeling w/in the last 6 years including a new septic, windows, doors, drywall, ceiling fans, tile and more. There's hardwood and tile flooring throughout, high ceilings and plenty of original charm. The main level has a large kitchen and living room, 2 bedrooms and a full bath. The upper level has 2 bedrooms plus bonus room, kitchen, living room, dining room and a full bath. There's a shared basement with washer/dryer hookups for each unit. The 1 car attached garage is used by the main level. Vinyl siding keeps this low maintenance and tenants pay utilities! Great investment opportunity! 160 Acres in the Minocqua Acreage, prime hunting and recreational land on Stone Lake Fire Ln. Located west of Minocqua this property is in the heart of the Northwood's and on the snowmobile trail system. Nice mix of mostly upland Pine and Aspen as well as a creek and some open marsh land great for all kinds of habitat. Close to some of the state's premier lakes, ATV and snowmobile trails, silent sports trails/park (Winter Park), and so much more. This is great recreational property with excellent habitat for white tail, grouse, turkey, etc. Enrolled in MLF Open to keep the taxes low, but don't worry as new legislation makes this DNR program more land owner friendly. Ask an agent for additional information. PINKHURST INVESTMENT - PRICED TO SELL with Plenty of Options for this parcel (residence, mini farm, small business). The 3 bedroom, 2 bath home with a covered porch and full basement offers plenty of living space. A second building on the property is an older log cabin that would make a great man cave, she shed or that studio for all the hobbies you can imagine. A single car garage and shed on the property provide plenty of storage. Zoning allows for animals and some of the 8 acres is fenced. Located just minutes from Minocqua, this property is close to shopping, dining, entertainment and medical facilities but still offers plenty of privacy. Access to the Tomahawk River is just down the road. This is a great property that offers privacy, acreage, and river access; it deserves your attention. But Wait, there's more...The Seller wants this gone and has priced the property $70,000 below current Fair Market Value. Call today for all the details and to schedule your personal preview. Top notch quality and love went into building this custom home. Built from the ground up by this only owner, he built much of the cabinetry throughout the house himself. You'll find built in dressers in bedrooms, kitchen cabinets, kitchen island, book shelves, a work bench and more all hand designed. Not an inch of space was wasted throughout the home. So many conveniences were thoroughly thought out from the beginning such as the attached garage, a powder room at the back entry, first floor laundry, pull out shelves in the kitchen cabinets, great main level floor plan with master BR, 2 oversized upper level BRs w/full BA. The shop is a handy persons dream with a concrete floor and wood burner heat. Plus there is an over abundance of storage behind the shop. Located so close to town you could walk to just about all the conveniences and services you need. Can't imagine this one will stay on the market long. Make your appointment now. The water view is spectacular from this beautifully wooded lot with mature trees on Squaw Lake. The 104 feet of frontage here could not be more perfect as it gives you level, sand frontage, ideal for swimming and boating. 800 Acre Squaw Lake is considered a premier lake in the area not only because of its size, but for its reputation as being a hot spot for walleye fishing. Fishing should not be limited to walleyes only - bring your musky gear as well as the worms; as young and old will find all species of fish. 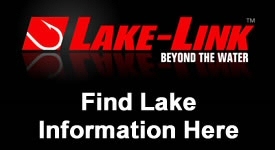 Beyond fishing, its a great recreational lake for any kind of boating. Located on the western edge of the Minocqua Township, you are nestled on the edge of the Chequamegon National Forest where 1000's of acres of public land are at your disposal for endless hours of outdoor recreation. Bring those building plans and get started on making your dreams a reality. MARIE LANE HOME - Good as new 3 bed,2 bath ranch home in Minocqua with attached garage! This warm and inviting ranch home has been completely remodeled. The cedar sided home was taken down to the bare studs with seller newly insulating attic, and all walls both interior and exterior for sound proofing and thermal comfort. New wiring throughout along with new kitchen, flooring , main bath, master bedroom and master bath as well as the lower level with the third bedroom and rec area. Seller installed new windows throughout the years he has owned it. Mechanically the home is in great shape with a new forced air furnace and water heater. Take a look at the pictures and then give a call, this shouldn't last long! Sportsman's Paradise! Waterfront living for a fraction of the cost! Property joins shoreline owned by WI Valley Improvement, owner allowed to keep boat at shore for a minimal $45/year, also located very near boat launch! Year around home w/3 BR, 2 BA, spacious kitchen, custom cabinetry, great room, serene views of Willow Flowage, knotty pine vaulted ceiling, gas stove, 2 BR and full bath complete main floor. Finished walk-out LL has family rm with pellet stove, large bedroom/bath suite, jetted tub, second kitchen and laundry, this level is an ideal guest or family suite w/private entry. 2 car gar. and storage shed complete this meticulously maintained, low maintenance property. Willow Region is the heart of snowmobiling, ATV trails, hunting, fishing and Northwood's fun! Much sought after Willow Reservoir has 73 miles of shoreline (95% undeveloped), 7 boat landings and over 30,000 acres of hunting, fishing, paddling, hiking and boating. Minocqua Acreage, 160 acres of prime hunting and recreational land on Stone Lake Fire Ln. Located west of Minocqua this property is in the heart of the Northwood's. Nice mix of mostly upland with Pine and Aspen. Close to some of the state's premier lakes, ATV and snowmobile trails, silent sports trails/park (Winter Park), and so much more. This is great recreational property with excellent habitat for white tail, grouse, turkey, etc. Enrolled in MLF Open to keep the taxes low, but don't worry as new legislation makes this DNR program more land owner friendly. 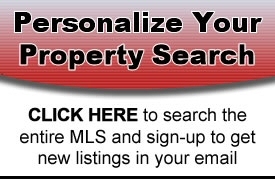 Ask an agent for additional information.